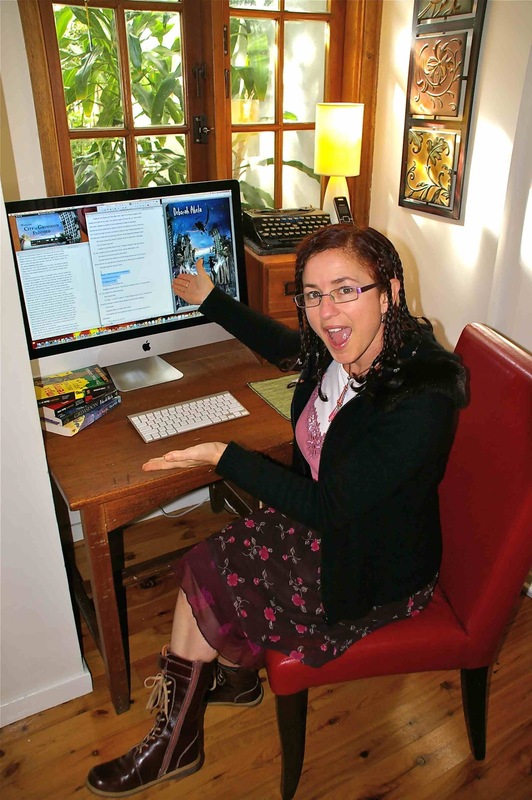 Deborah Abela is the bestselling author of the Max Remy Superspy series and Grimsdon, shortlisted for the Aurealis awards. She is an energetic and generous children’s author who divides her time between writing and inspiring children to create and tell their own stories. 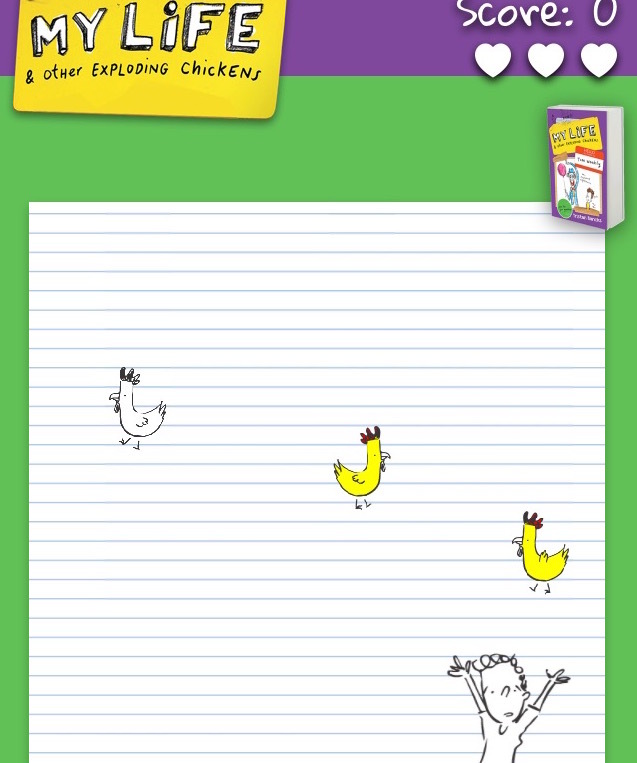 Here we get a rare peek into her writing space and creative process. Where did you write your latest book? At the desk you see in the picture, PLUS various trains, hotel rooms, buses, seaside parks, cafes and in bed, complete with fluffy pj’s. How important to you is the space that you write in? I love my desk but the ‘space’ in my head is more important. If my characters have come to life and my story is knitting together and the action is exciting, then I can write anywhere. My head definitely transforms every single time. Each book is like a different country, so each is like a visit to a great place with so much to learn but also so many different hazards and troubles. My characters make me laugh and cry and make me want to cheer for them, so they’re separate from me but I will assume poses or look at my face in a certain position to describe how my character would look. The first place I wrote was a veranda overlooking a quiet, tree-filled, lorikeet-chattering street in Lismore. After that I wrote in a huge warehouse overlooking grungy inner city streets but, once I start, I travel in my head to wherever my characters are. 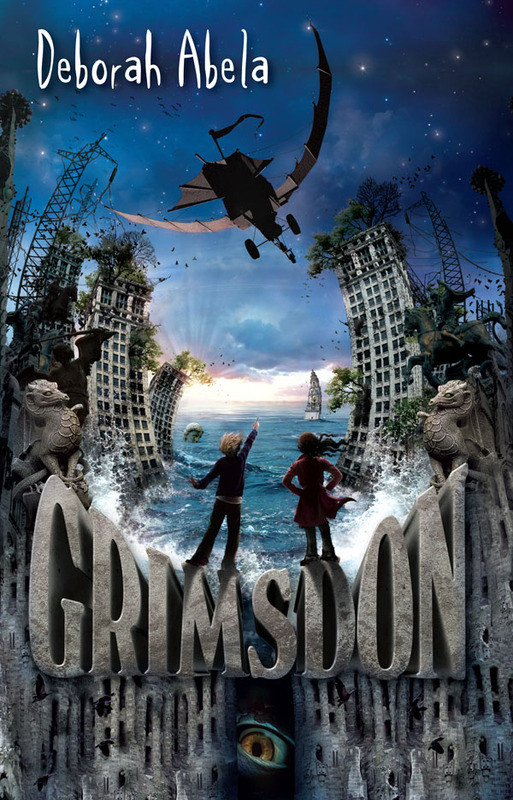 So, with Grimsdon, where the kids live in a flooded city, I was surrounded by water, flooded castles and sea monsters. There’s nothing like a deadline to make me write regularly, so early morning from about 6:30 to about 7pm. Making tea and seeing if I can touch my toes. Thanks Deb! Another children’s author will be inviting us into their world next Wednesday.